Good evening my friends. Im just getting home from an amazing day with family. We had the BEST cook out and just had fun spending time together. Those are the best days :) Three more days of the challenge!! eeeek! Journal Prompt: Who or what inspires you? 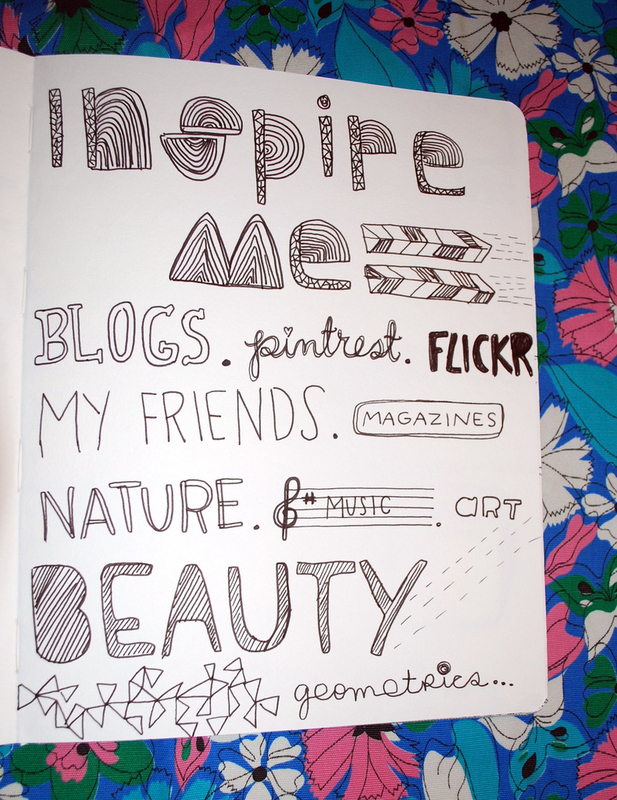 What gets your creative juices flowing. Is there a person that just oozes inspiration and makes you want to be more creative? This is your time to document that!! I decided to make a visual list of sorts of all of the places where i find my inspiration. The more I am doing creative things, the more the inspiration hits me. Does that make sense? Alright, I am off to get all bunkered in ready for the thunderstorm and tornado warnings that are happening here all night.